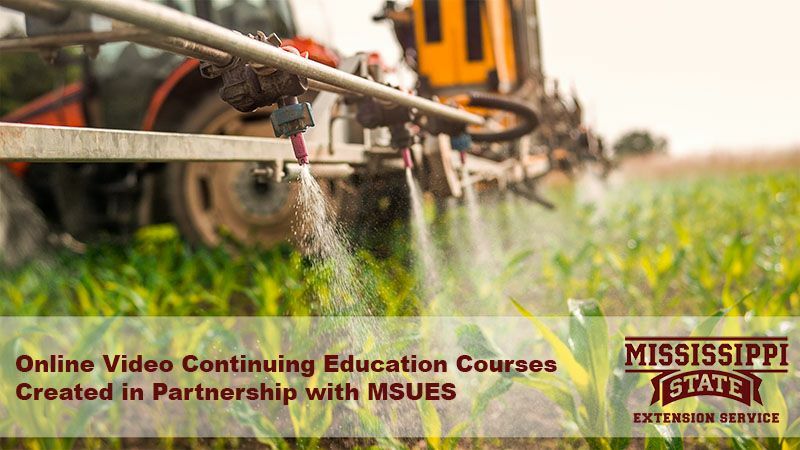 Certified Training Institute has partnered with Mississippi State University Extension Service to bring applicators online continuing education for the first time! Here are a few frequently asked renewal questions to help guide you through the process. When is my Mississippi pesticide applicator certification up for renewal? Private Applicator licenses must be renewed every 5-years on the anniversary of licensure. Commercial Applicators must renew every 3-years on the anniversary of licensure. How do I renew my Mississippi pesticide applicator certification? How much continuing education do I need to renew my Mississippi pesticide applicator license? Applicators must complete 5-credits of continuing education during the last 12-months of each licensing cycle. Where do I find classes to renew my Mississippi pesticide applicator license? Certified Training Institute offers Mississippi-approved continuing education courses in an easy to use, online, video format. Courses are available 24/7 on any internet capable device with the benefit of our friendly support staff to guide you through the renewal process. This entry was posted in Pesticide and tagged Mississippi Pesticide.